Here at Northwest Exteriors, we think you will find Monte Verde windows to feature quality details at a outstanding value. Discover some of the exceptional features that are standard on EVERY Monte Verde product. Even more exciting is that there are many more such features standard on various Monte Verde products. 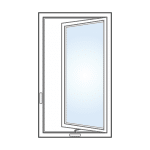 The Monte Verde windows are available in two series, Bay View Series and Monte Verde Series. 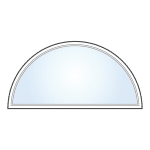 Whether for a remodeling project on an existing home or for a new construction project, Monte Verde windows are custom made to fit your home based on the specifications we provide. 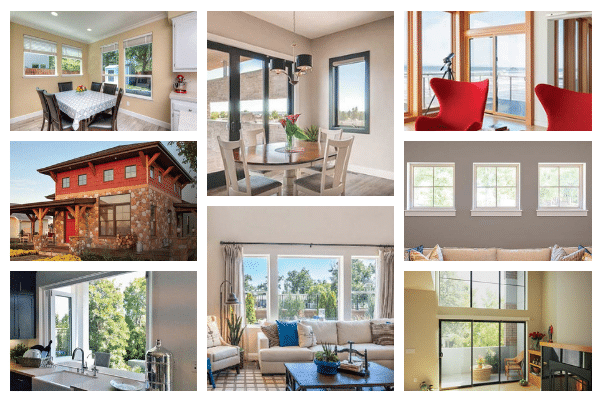 The Bay View Series includes a maximized glass viewing area, enhanced energy efficiency and an optional Pro-Latch Lock system. If you have a home with a breathtaking view or an outdoor playground for the children, you’ll appreciate viewing more of it through bay view windows and doors. All Monte Verde products includes premium beauty, craftsmanship and features, all at a fair value price. 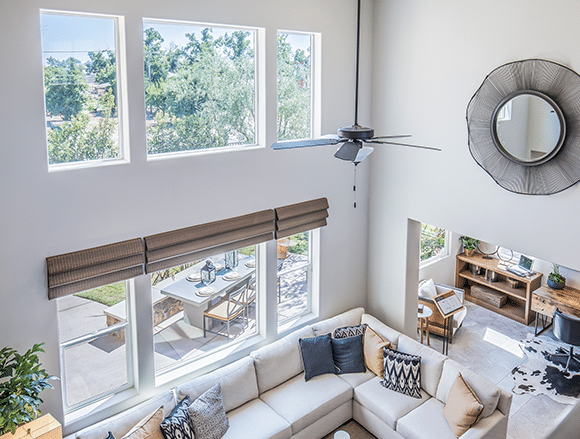 Let us help you get started with your Monte Verde window project today! Energy Star qualifications by 25%! All products are NFRC and AAMA certified. The frames are available in Double Wall Beveled Flush Finish and Brick Mould multi-tiered casing. Available with EcoCool Solar Reflective Colors. Multiple grid styles and patterns. Glass available in six different obscure glass options. 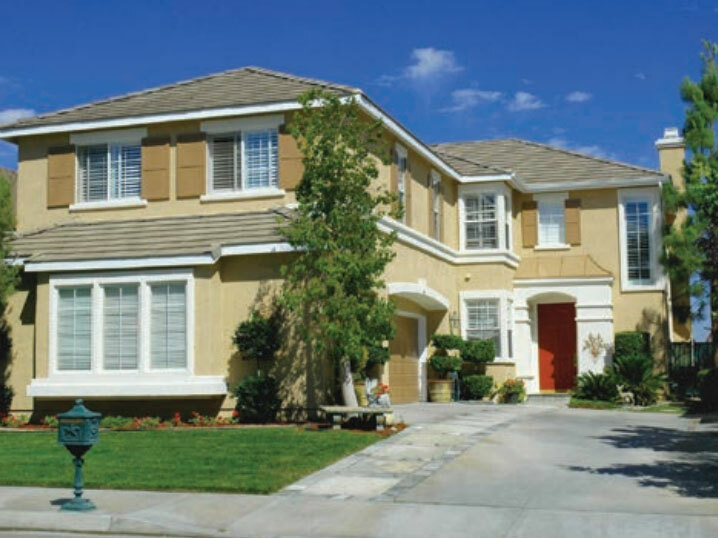 As with some other brands, you can choose from a variety of window styles, colors and designs. 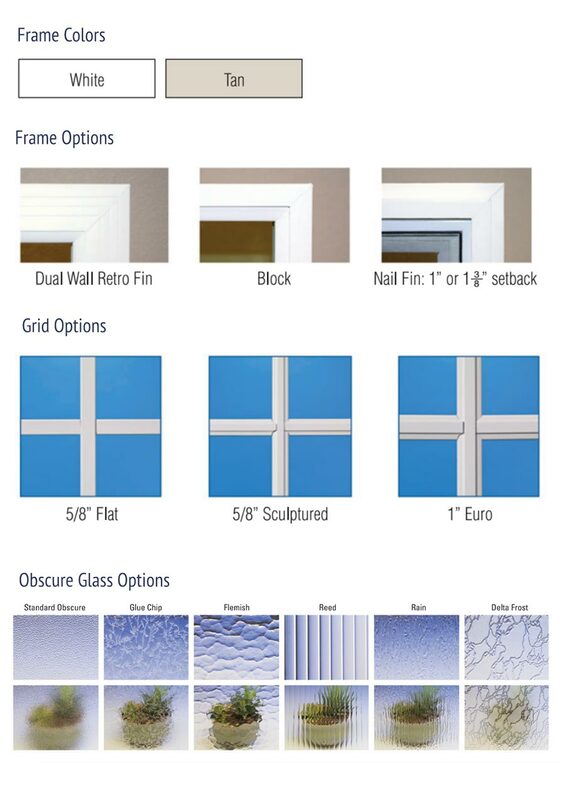 Select from the five different window styles as shown in the photo. After deciding on the style, we then choose from the various grid styles and grid patterns. 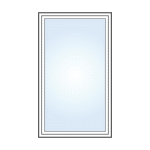 The basic window frame colors are white and tan. 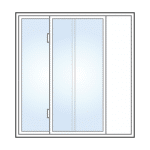 Monte Verde also offers additional options such as the v-groove beveled glass, obscure glass, or a solid stainless 1/4″ sash bolt. Also popular are the optional EcoCool Cool Solar Reflective Finishes.All Monte Verde windows are available with optional tempered glass.